Lenin’s tomb was under construction in Red Square when we visited on 9 July. Apparently McDonald’s is expanding into the most Soviet of tourist attractions. Every Happy Meal comes with a vodka shot. This entry was posted in Destinations and tagged Lenin, Moscow, Red Square, rtw, Russia, travel. Bookmark the permalink. I think the Happy Meal comes AFTER a vodka shot! 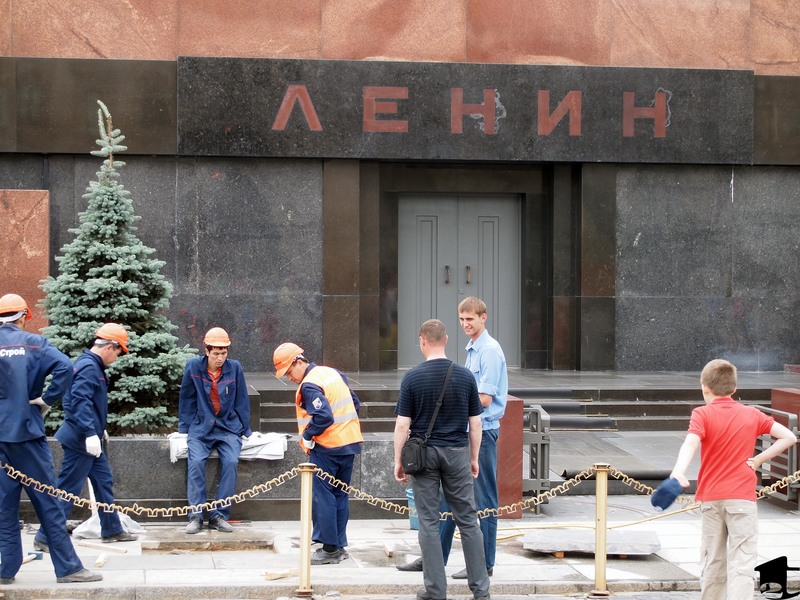 Look, they’re digging- maybe Lenin will get buried after all!